An aerial shot of Gibela's train factory in the city of Ekurhuleni. Photo: Alstom. 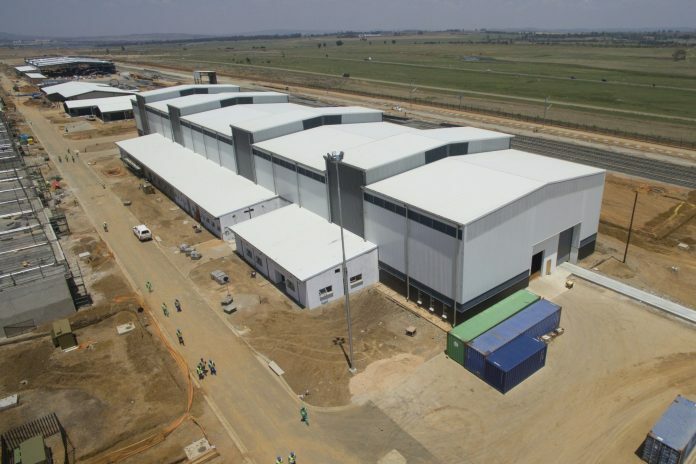 With construction almost finished, Alstom and its partners in the Gibela joint venture have moved into their new train production plant to the east of Johannesburg, South Africa. 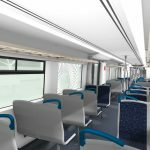 Production of the first of 580 six-car (3,480) X-Trapolis Mega trains for operator the Passenger Rail Agency of South Africa (PRASA) will now begin. The Gibela joint venture (Alstom, 61 per cent; Ubumbano Rail, 30 per cent; and New Africa Rail, nine per cent) signed a €4 billion contract with PRASA in 2013 for 3,600 coaches. 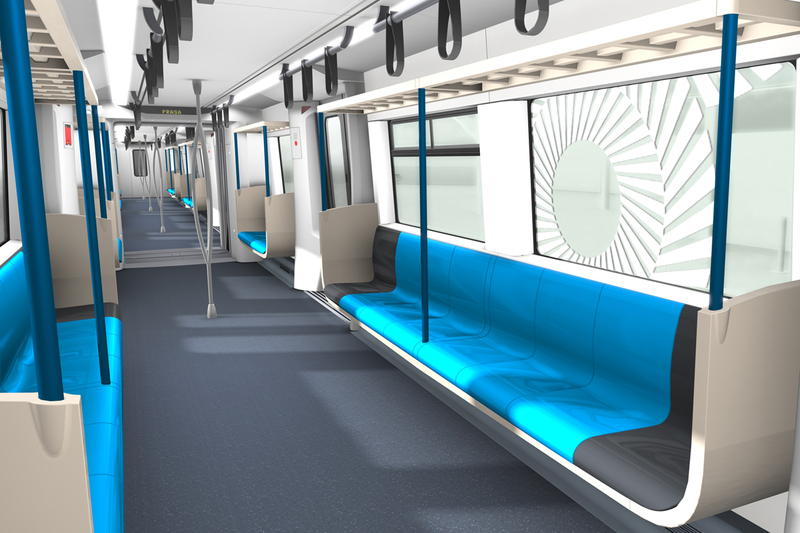 These new trains will replace ageing suburban rolling stock in Pretoria, Johannesburg, Cape Town and Durban. Gibela is also providing technical support and will supply spare parts for 19 years. 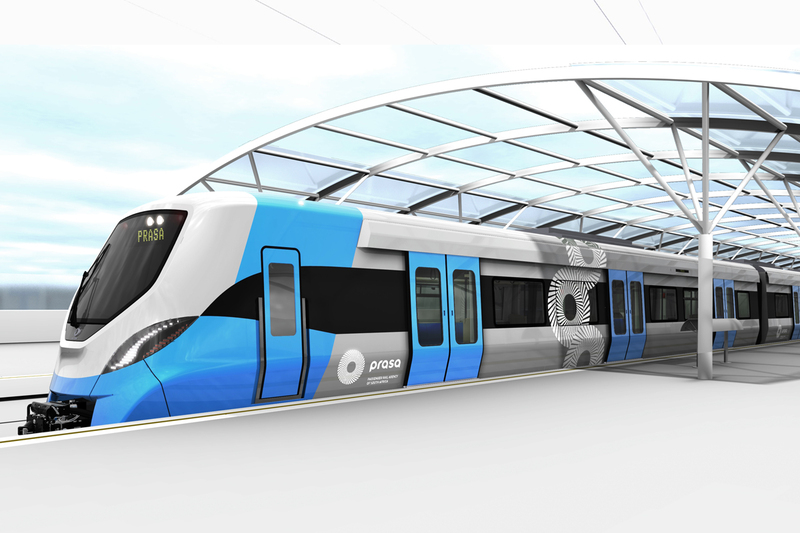 The contract is part of PRASA’s aim to revitalise the country’s rail industry in response to a growing number of commuters, and also to create jobs. Part of the arrangement involved building a manufacturing facility in Dunnottar, Ekurhuleni, South Africa. The first 20 trains (120 coaches) were built at Alstom’s factory in Lapa, Brazil, while the South African factory was being constructed. Alstom Brazil has been transferring technology to Gibela’s technical staff, a process which is due to be completed by mid-2018. Around 400 Gibela employees and a training centre will also be part of the new 600,000 complex in South Africa, of which full construction is due to finish in March. The 580 trains will be built over the next 10 years at a rate of five trains a month with the support of around 200 local suppliers. 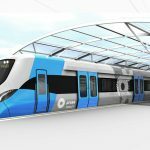 The first South African-built train is expected to come off the production line by the end of 2018. Alstom’s senior vice-president for Middle-East and Africa, Didier Pfleger, said: “Alstom is very proud of the progress made by Gibela in less than two years to finalise the construction of the plant, in Dunnottar. The completion is underway for March 2018. 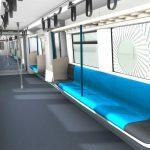 The X’Trapolis trains have been developed by Alstom to fit the 1.067 metre gauge in South Africa. 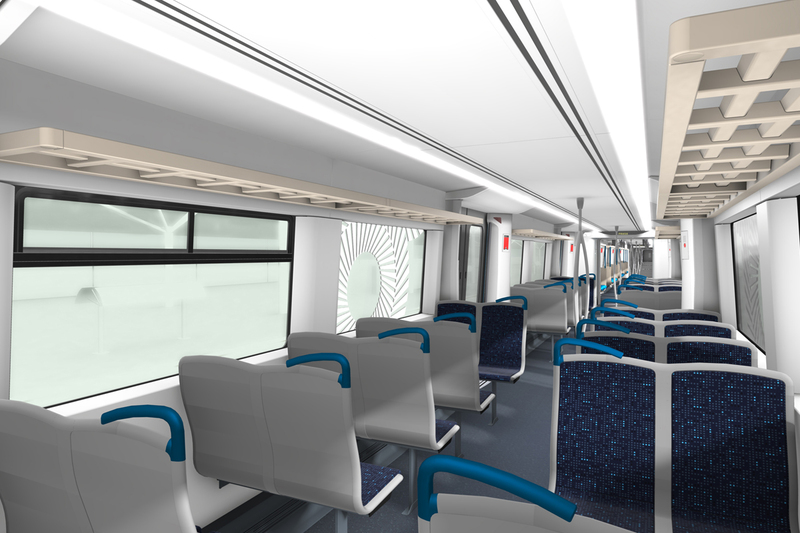 The train can travel at speeds of up to 120km/h with the ability to be upgraded to 160km/h. Each six-car train is capable of carrying more than 1,300 passengers. They also come equipped with air conditioning, real-time on-board information and wi-fi. One of the X’Ttrapolis Mega trains that has been manufactured in Brazil. Photo: Alstom.